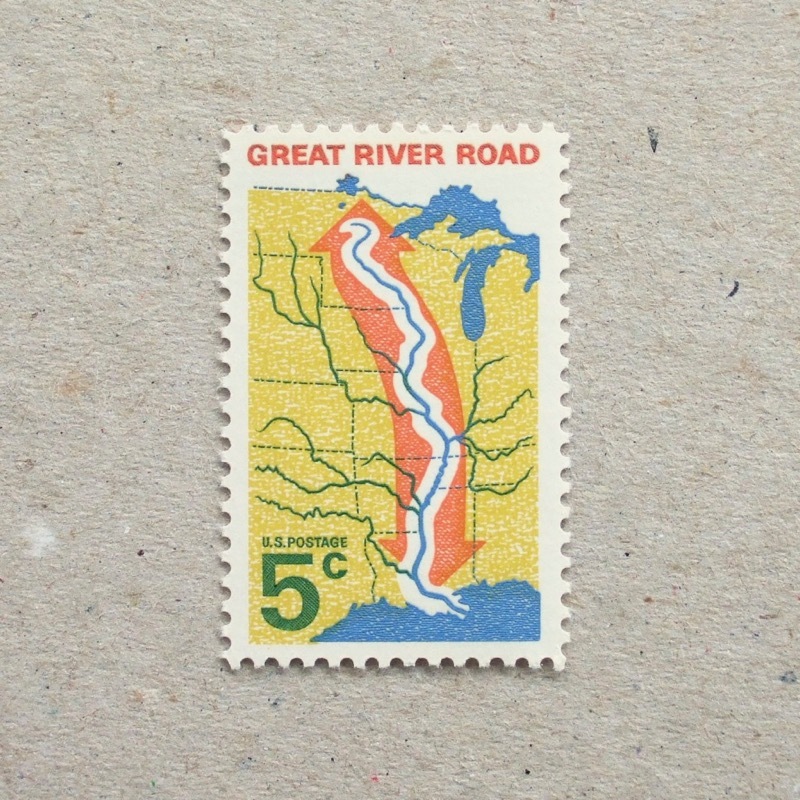 The river looks modest in this stamp, but in fact it is 2,069.0 miles ( 3,327.9 kilometers ) long – and it is a road for cars, sign posted through ten states of the US. This simple design is printed with intaglio and lithography methods, in 3 colours. 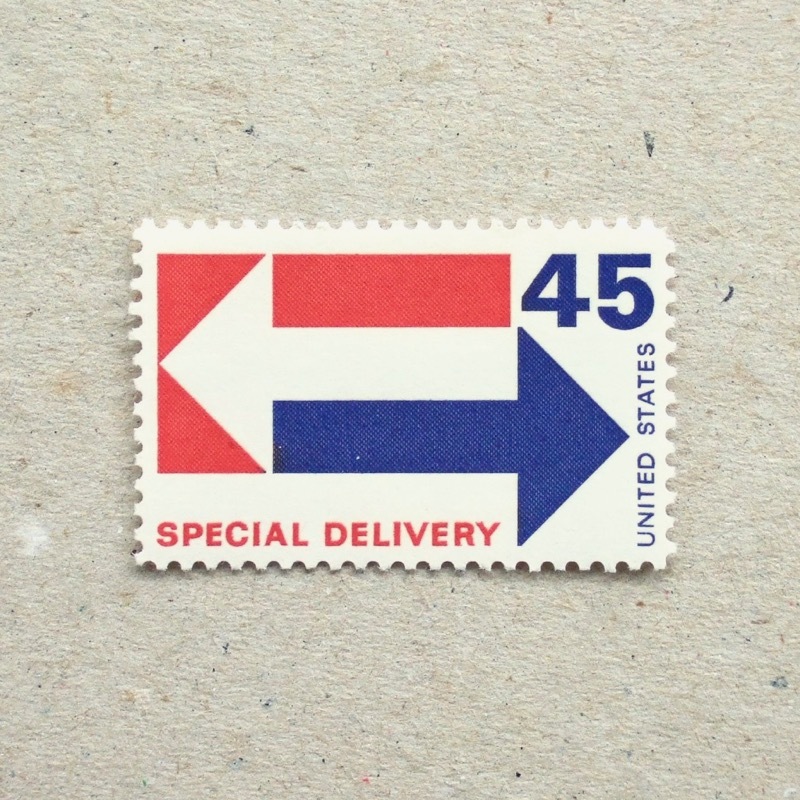 Swift and reliable – a very clean and strong design for a special delivery stamp. 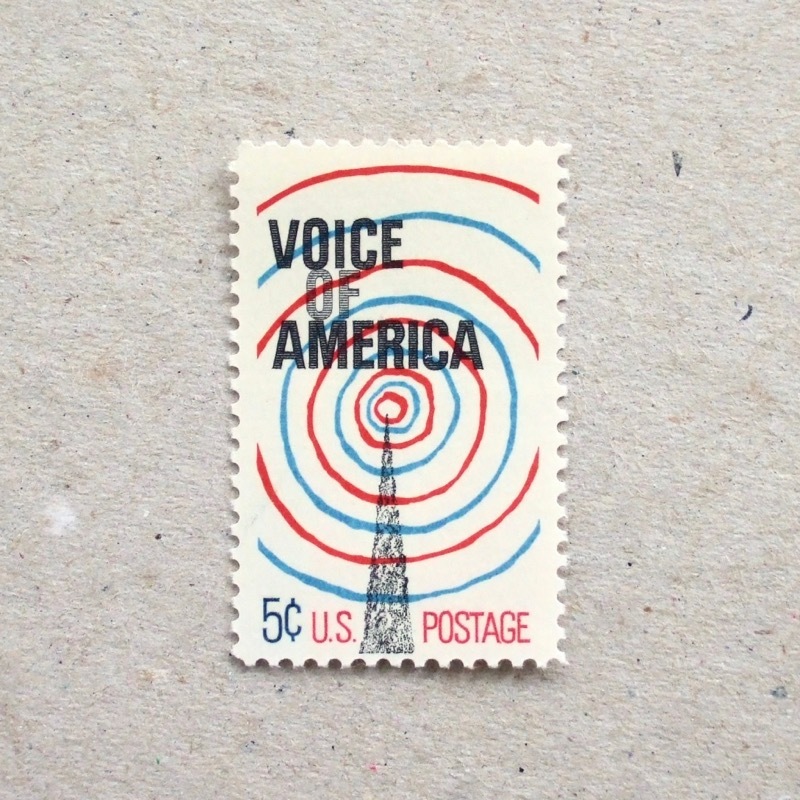 The normal postal stamp was 6 cents in 1969 and this is more than 7 times expensive. Hand drawn circles on natural colour of paper – light weight impression, but strong stamp. 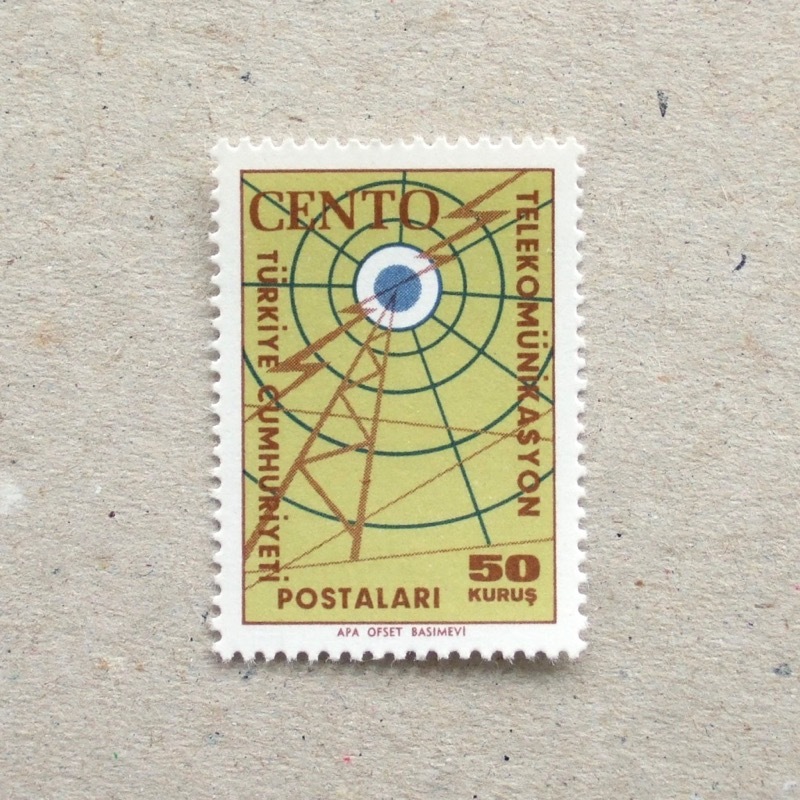 Maybe because the centre of the circles is the centre of the stamp? A hand to stop tyranny – and the statement of “The rights of the people shall not be violated”. 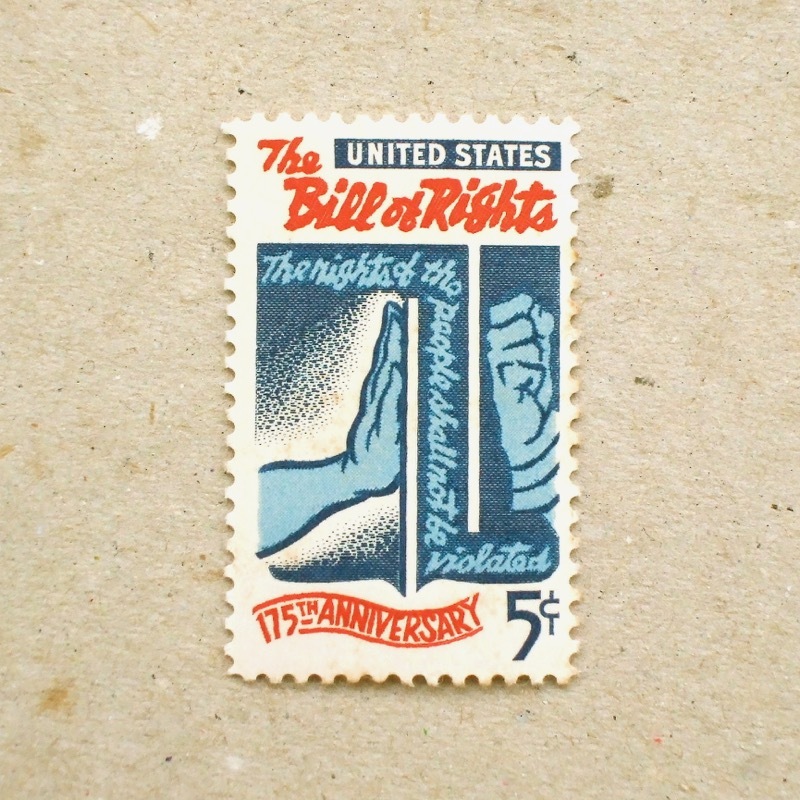 This stamp is celebrating the Bill of Rights, started in 1791. I feel a bit better seeing the sparse crowd for 45th President’s inauguration day, in comparison to Barack Obama’s in 2009, and 500,000 people packed into the same place for the Women’s March on the following day. Madonna’s words of ‘the new age of tyranny’ are a warning pointing to exactly what is happening. Giving an impression of control and force of hands by strong lines and direct composition – and this is the view of engraver, which is opposite to another engraver’s hands on Austrian stamp. Canadian archive shows names and pictures of designer and engravers of this stamp from 1965. Wonderful! Some stamps are made for public campaign with serious theme – and they need to reach their correct audience. As a result, some of the road safety stamps are often cute. This one from Argentina has children in rigid manner, but helped by bright colours and hand sticks out from the background frame, it is lifted to kawaii field. The heraldry was born from the marks on the battle shields used by the medieval knights. The shields in these stamps show one of the most early primitive signs of families or individuals, used to classify the foe and ally. These stamps are based on Bayeux Tapestry, depicted the Battle of Hastings in 1066. They give us some idea of how brutal those battles were. Even a thief is taking cloth off a dead body and the silhouette of the Queen is looking at that scene rather calmly. 2014 is the year of the Horse. The sexagenary cycle is completed with 12 animals and my icon of the zodiac is horse – I was born 48 years ago. That year was a little special ‘Fire Horse‘ and birthrate of the year in Japan was 25% decreased than the year before. During the last month, I read a book titled “What on Earth Happened?” and learnt how significant the domestication of horse was in the ancient world. Horses were used to plough fields, to communicate with speed and to fight in wars. I have more than 80 stamps with horses depicted and I am featuring several of them in coming posts. First set is from Germany and from the top, I would nickname them form the top ‘sublime horse’, ‘heavy horse’, ‘friendly pony’ and ‘speedy horse’. One more swimming stamp from Republic of Mali, issued for a celebration of African Games in the capital of Congo. Another simple intaglio stamp with vivid colours and dynamic movement.